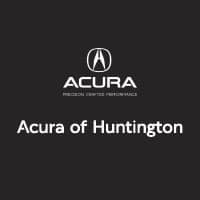 If you’ve heard the term CPO, but aren’t quite sure what it means, don’t worry—the Acura of Huntington professionals are here to help. CPO stands for certified pre-owned, which is a whole different concept than your standard used car selection. There are many advantages to buying a certified pre-owned Acura car specifically, and we’re here to share the highlights with you today. Buying a CPO vehicle means you’re getting a like-new vehicle for a stellar price. Certified pre-owned models sit at or beyond typical used car standards, which have also passed a 182-point vehicle inspection. Every vehicle in our Acura certified pre-owned inventory is less than six years old with less than 80,000 miles. Each also comes with a 12-month/12,000-mile Certified Limited Warranty, which provides powertrain coverage for up to seven years/100,000 total miles. The in-depth inspection we perform ensures the car’s quality and dependability, but there’s another bonus; each model comes with a full set of manuals and documentation, such as the owner’s manual, maintenance journal, vehicle history report, radio security code, certified warranty booklet, and more, for further peace of mind. Not only that, but all our CPO cars are covered by an extensive Roadside Assistance Program too! Regardless of the vehicle you pick and the great price you pay for it, you can trust that our name and reputation are behind it. If a pre-owned Acura model is not up to our standards, it will not be featured in our CPO inventory. When you’re ready to upgrade to a “like-new” car, we are ready to help you. Contact us today to learn more about our Acura CPO Program or to start browsing our inventory! We look forward to helping you at Acura of Huntington, your trusted Acura dealership near Bayshore, NY for new and pre-owned options. 0 comment(s) so far on What Does CPO Mean?